Fleas are tiny little blood suckers; there are over 2400 species in the world. Their tiny size makes them impossible to detect, unless Fido starts scratching up a storm. Such instances are usually signs of an infestation. The female flea engorges herself to 15 times her body weight. This level of blood consumption occurs every day. The female flea produces around 600 – 800 eggs in its lifetime, meaning that if 10 or more were to reproduce at the same time, you will have to contend with more than a million fleas. Adult fleas are reddish brown in color. These are the ones you can actually see with your naked eyes. Adult fleas have compressed bodies. When you see the adult fleas around then prepare yourself for a flea infestation. There will be other offspring hidden on your pets and underneath their fur. Needless to say, detecting and eliminating them can become a problem. The adult fleas, you are able to see, are only the tip of the iceberg. These make up only 5 % of the total population. The rest are either in their eggs, in their larval stage, or in the cocoon stage. cat, or any other type of furry mammal. This makes it hard to spot them. When the host rests or falls asleep, these eggs drop out. So, wherever your pet sleeps, these little devils will take shelter in any item nearby, like furniture, rugs, cushions, cracks in the floor. The pests will even take shelter on soil or plants, if your pet sleeps near them. The main diet of flea larvae consists of digested blood which they obtain through the droppings of adult fleas. 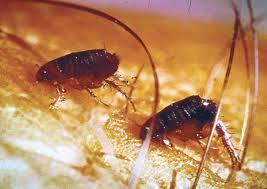 They also eat dead skin and other organic debris that they are provided with from adult fleas. Once the flea matures after the cocoon stage, they are able to detect the presence of an animal or a human, through the warmth emitting from their bodies. They then break away from the cocoon to feast on their prey. The basic sign of a flea infestation is the obvious; scratching and itching. The moment your pets start scratching furiously, be prepared to deal with a flea infestation. The scratching is usually limited to pets; however, family members might get affected as well. The scratching won’t exactly harm your animals much, but it might make them go though severe pain and irritation. However, the wound left by the incessant scratching are an open invitation to infectious viruses and other types of bacteria. Fleas cause severe discomfort to your pets, due to all the itching and scratching. They can cause FAD (Flea Allergy Dermatitis), a common skin disease among animals. If a flea infestation becomes too severe, it can lead to anemia, particularly among younger pets. Fleas can sometimes carry tapeworms with them. Accidental ingestion of a flea by the pet can cause tapeworm infections as well. 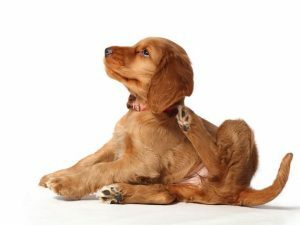 Fleas can cause a lot of problems for humans as well – Flea bites can cause allergic reactions in the forms of red lesions, which can turn purple when the allergies increase in severity. Flea infections can sometimes lead to typhus. The side effects of this disease are delirium, high fever, headache, and angry red rashes appearing on the skin. Flea typhus (transmitted by cat fleas) and Murine typhus (transmitted by any flea) are two of the most common. There are various methods you can utilize for getting rid of your flea infestation. Before you call the professional pest control authorities, you can take several steps on your own to prevent an infestation from spreading. The first thing you need to do is quarantine your infected pets. Collect all those things which you think might be infected and wash them with soapy water; this includes cushions, rugs, and any bedding materials. The soapy water will kill any flea even those that take refuge in the rug or bedding. Vacuum everything, carpets, floor cracks, furniture, corners, doors, and any other part of your home which might be infested. Then quickly cover the vacuum bag and place it in the garbage can outside your house to prevent the flea from escaping. Make sure to clean the area your pets sleep in with soapy water, and thoroughly wash the place with this mixture; it will drown any fleas waiting for an opportunity to strike. If all else fails, leave it up to the professionals to get rid of these sneaky pests for you.